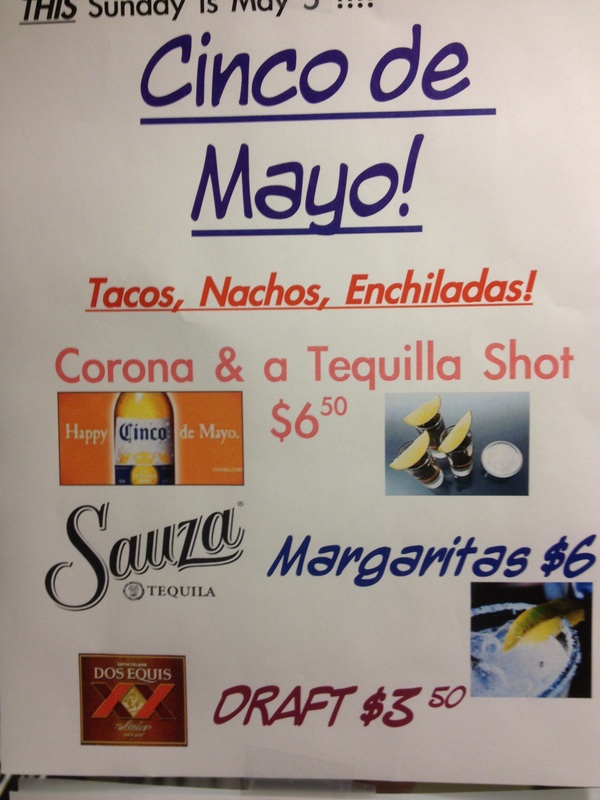 Greeley Avenue Bar & Grill welcomes you for Cinco De Mayo this Sunday, May 5th. Enjoy drink and food specials while watching your favorite sports game on TV. Have a great week and we’ll see you there! This entry was posted in Entertainment and tagged & grill, bar & grill, Cinco De Mayo, Cinco De Mayo specials, May 5, portland or restaurant, sports bar & grill by greeleyave. Bookmark the permalink.